Want to add a quick and easy vegan meal to your menu? This one-pot red curry lentil recipe has exotic flavors that make this warm, filling meal good enough to eat again and again. 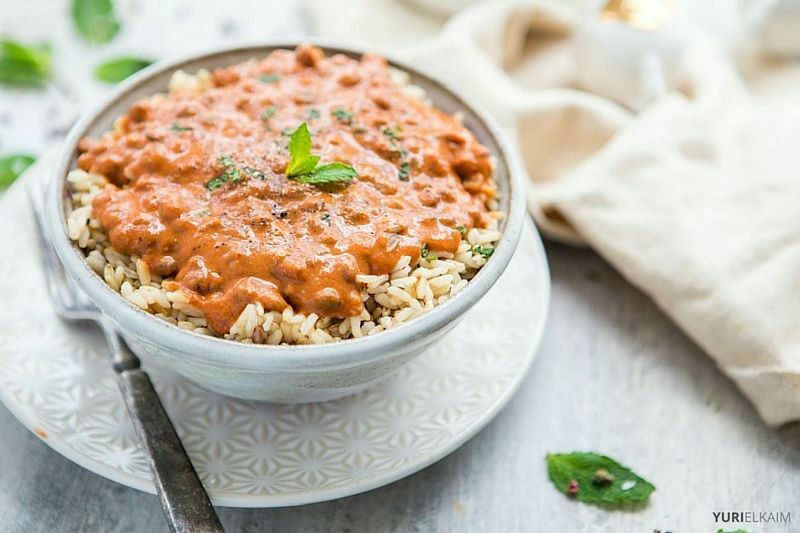 Full of plant-based protein and ready in 10 minutes, this delicious curry is perfect on a busy weeknight, and you can easily double it for leftovers. Add in a handful of spinach for extra nutrition or leave as-is – either way, this one-pot wonder will quickly become a favorite dish. 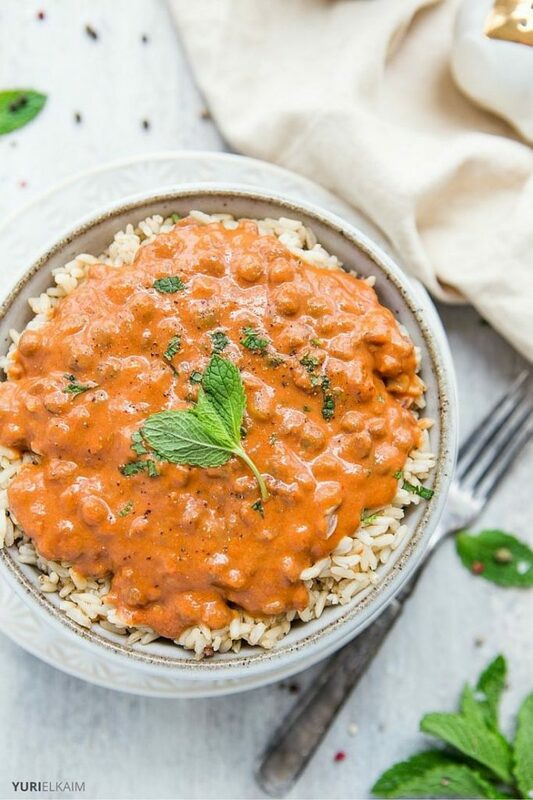 Creamy coconut milk seasoned with a good-quality red curry paste turns simple lentils into a comforting, exotic meal. Curry paste is a staple ingredient in Thailand, and typically contains fresh, local ingredients including kaffir lime leaves, lemongrass, and galangal. Red curry paste can be purchased in the Asian section of most grocers, but be sure to check the ingredient list for the purest and least processed version – many have a short list of high-quality ingredients, but double-check just to be sure. A sprinkling of fresh mint adds an extra layer of vibrant flavor to this delicious dish. Lentils are a great way to get plant-based protein into your diet, and one cup of cooked lentils contains 18 grams of protein. Even if you’re not a vegetarian or vegan, having some meatless meals will cut down on grocery expenses and contribute to your overall health. Lentils are high in fiber, and a high-fiber diet has been linked to a lower incidence of heart disease (1). The high fiber in lentils prevents blood sugar levels from rising quickly after a meal, providing a steady stream of slow-burning energy. A 2010 study linked pulse consumption with weight management (2). They also are rich in iron, which helps transport oxygen from the lungs to the rest of the body, and is integral for energy production and metabolism. We often hear of the importance of eating anti-inflammatory foods, and lentils definitely fall into that category. In fact, study found an association between lentils and lower inflammatory biomarkers (3). Since chronic inflammation has been linked to many serious health issues, eating foods with potent anti-inflammatory properties like lentils makes sense. But if for some reason you want to swap the lentils out of this recipe, chickpeas make a good choice. No one wants to spend the evening washing a pile of dirty dishes, so you’ll be glad to know this dish is made in only one pot. Even better, you can have this flavorful meal on the table in 10 minutes. I can’t think of a better way to eat dinner than this quick, healthy, and delicious one-pot curried lentils recipe. This one-pot red curried lentils recipe has exotic flavors that make this warm, filling meal good enough to make a staple in your diet. In a medium pot or skillet, place lentils, coconut milk and curry paste together. Stir and warm over medium heat. Serve over cooked rice or quinoa, garnished with fresh mint. Want More Fast and Healthy Meals? Be sure to check out my free All-Day Energy Diet Community Cookbook, which features 67 delicious, allergen-free meals that take less than 15 minutes to make. You can get it now – for FREE! – by clicking the banner below.